Happy with purchase. Good condition as photo. Bought as a gift for friends. Hi. When will you be restocking option pink? I have paid for shipping for today 6th April.... 10am-12noon. I see shipping is for 7th April..which is a Saturday....the delivery address is my office and we are not open on Saturdays. My side really can't just press refund. If I can, I will directly press the refund rather den inform u and tell u to opt refund from your side. Ur side I can see u can choose to press the cancel or refund. U can press for refund at ur side. 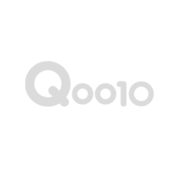 Else, u can send an email in to qoo. Ask them to cancel directly. U have to press refund before I can accept from my side. My side I really can't do it. U can try the exchange refund button.